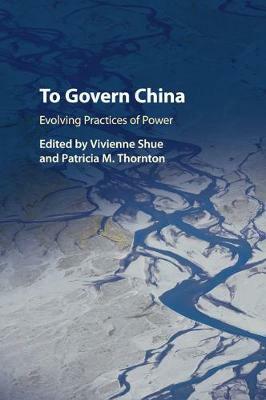 Author(s) Shue, Vivienne; Thornton, Patricia M.
How, practically speaking, is the Chinese polity - as immense and fissured as it has now become - actually being governed today? Some analysts highlight signs of 'progress' in the direction of more liberal, open, and responsive rule. Others dwell instead on the many remaining 'obstacles' to a hoped-for democratic transition. Drawing together cutting-edge research from an international panel of experts, this volume argues that both those approaches rest upon too starkly drawn distinctions between democratic and non-democratic 'regime types', and concentrate too narrowly on institutions as opposed to practices. The prevailing analytical focus on adaptive and resilient authoritarianism - a neo-institutionalist concept - fails to capture what are often cross-cutting currents in ongoing processes of political change. Illuminating a vibrant repertoire of power practices employed in governing China today, these authors advance instead a more fluid, open-ended conceptual approach that privileges nimbleness, mutability, and receptivity to institutional and procedural invention and evolution.